It is the consumer’s responsibility to understand what they are ordering when using the online system. Rustica has provided many online photo resources and descriptions to help you during your order. Please read these descriptions carefully. If you are unsure about what your order will look like or what is included, please call Rustica Hardware at 1-800-891-8312 for help placing your order. All free shipping will be shipped via ground shipping and will take 3-5 business days. Ground shipping will deliver your product to your door. All orders that have to be shipped “freight” will be delivered curbside. In some cases where the crate is too large to be unloaded using the lift gate on the back of the freight Trucks, the customer will need to pick the crate up at the local HUB. It is the consumer’s responsibility to arrange for delivery beyond the curb or to pick up at the local HUB. Once orders are received from Rustica Hardware, especially large orders such as doors which ship freight, must be inspected upon delivery for freight damage. Do not transport your door or order inside your home if it has been damaged in transit. Please do not transport your order inside your home before inspecting it for specification accuracy. If the door or order was manufactured inaccurately in any way (e.g. wrong finish, wrong size, wrong style) do not transport it into your home. We will not be responsible to replace or refund any incorrect order which has been transported away from the original drop off location of the original shipping company. Please do not schedule the installation for your door until it has arrived. If your door is shipped via freight, the freight company will contact you for a delivery time. Make sure your shipment includes installation assembly instructions. If not, they can be downloaded from www.RusticaHardware.com. We love to serve all of our customers across the globe. Unfortunately, due to the variance of customs policies around the world we do not assume any responsibility of freight, duties or taxes outside of the US. However, we do offer everyone our standard free shipping for barn doors, hardware and mantels​ in the continental US. We strongly recommend that the buyer contact a freight forwarding company in the continental US to receive the product from us on your behalf. You can contact almost any international freight company for a recommendations for your country. Please note that upon delivery to the freight forwarder ownership of the product transfers to the buyer. From that point on all freight, duties, taxes (import and export) and brokerage fees will be the buyer’s responsibility. We cannot be responsible for any international freight costs (or returns) so we recommend the product be inspected carefully by the freight forwarder upon receipt. All changes that need to be made to an existing order need to be made before the end of the next business day after placing the order, this must be done over the phone by the person that placed the order (no other form of communication will be accepted). All Changes made to an order after the next business day following placing the order will incur a 20% Change Order Fee. Please understand that these custom made products often begin to be manufactured the day following order placement and can result in wasted product when changes are submitted. If you need to exchange or return your hardware (we do not accept returns on doors), you must do so within 30 days of receiving your order. A 20% exchange fee will apply to any exchange order. A 20% restocking fee will apply to Returns. No Returns or Exchanges are accepted after 30 days or if the product has been installed or altered in any way. Please take the time to inspect your order upon delivery to make sure that everything arrived as expected. Contact Rustica Hardware at 1-800-891-8312 to get your Return Authorization Form which must accompany your return. Visit our Returns Page for additional information the return process. It is necessary open and inspect shipments upon arrival. Any damage from shipping, including concealed damage, must be reported to Rustica Hardware via call to 800 891 8312 or email to [email protected] within 4 business days of receiving your product in order for a shipping claim to be processed. If your shipment arrives damaged, you are required to sign, note that it is damaged, and notify Rustica Hardware within 4 days of receiving your shipment. If we are not notified within 4 days, we will not be liable for the damage claim. In the event that your specific product is no longer available, Rustica reserves the right to substitute the part with a comparable product in quality, style and color. “Custom doors” are defined as any door or hardware system that is not configurable through the websites existing options. Rustica makes every effort to assure you receive your custom door as expected. All custom doors will require your approval. Rustica will send a photo of the finished door before shipping. Once the door has been approved and received, no returns will be allowed. Just as our name indicates, Rustica Hardware specializes in rustic design and styles in our hardware and doors. Most of our doors are made from Knotty Alder and are not finished to a smooth paint grade. It is normal to have large knots in the wood that give it character and a rustic look. If you need a smooth paint finish please be sure to order a paint grade finish by calling Rustica Hardware at 1-800-891-8312 for help placing your order. Standard kit doors are shipped unassembled and unfinished. If you are assembling your door yourself, ensure you have Assembly/Installation Instructions before you begin assembly. If instructions are not included, they can be downloaded from www.RusticaHardware.com. If you would like your door assembled or finished by Rustica, please include these options with your order for an extra fee. All door kits are assembled to verify that they fit properly before they are shipped and then are disassembled for shipping. To prevent possible warping, we recommend having your door finished, shipped, and assembled by Rustica Hardware. If you are having trouble assembling your door please call Rustica Hardware at 1-800-891-8312 for customer support. All interior doors and hardware are intended for interior use only and are not warrantied against exterior use. If you’re purchasing a door intended for exterior use please make sure that you order a door that’s defined in the ordering process as “exterior”. Interior products come with a limited lifetime warranty that covers the functionality of our products. This warranty does not cover finishes, cosmetic discoloration, damage, improper installation or normal wear. We will replace any part that fails to function properly with the return of the failed product. Exterior doors come with a 1 year limited functional warranty. This warranty does not cover finishes, cosmetic discoloration, damage, improper installation or normal wear. We will replace any part that fails to function properly with the return of the failed product. All doors that are finished and assembled by Rustica come with a 30-day warranty against warping. Warping is defined as doors that are out of alignment of more than 1/4″. Unfinished doors & headers do not have a warranty against warping because of changes in climate that can allow the door to absorb moisture during transit (causing the door to warp). Incorrect finishing of a door can also cause warping which is why we highly encourage our customers to allow us to finish and ship their door finished. It is strongly advised that customers finish/seal all 6 sides of the door within 5 days of receive the door to prevent against warping. In any of the above cases the data we collect could be personal data. When you buy anything via the site or give us any personal data as indicated above, we may need to collect information about you to process the transaction, fulfill your order, and provide you with the services you expect then and in the future. This information may include, but is not limited to, details such as your name, your address, and your phone number. Unless we have your express consent we will only disclose personal data to third parties if this is required for the purpose of completing your transaction with us. This is of course subject to the proviso that we may disclose your data to certain permitted third parties, such as members of our own group, our own professional advisers who are bound by confidentiality codes, and when we are legally obliged to disclose your data. By becoming a subscriber you consent to receive from us by email our eNewsletters and details of other special offers or services which we may think may be of interest to you. Rustica Hardware retains and uses your personal information to provide you with the remote commerce (including electronic and mobile commerce) experience by providing you with a personalized service and to give you details of offers which we think will be of interest to you, it is also to keep you informed of changes to products, services, licenses agreements, terms, conditions, and security updates. We may also use the information to process any transactions you undertake with us and for internal administration and analysis. We do not sell, rent or trade your personal information to third parties. By their very nature the Forum, Guestbook, Listing Directories, etc. are open to the public; any information given will be viewable to the general public. Rustica Hardware does make every effort to keep details such as email addresses private, but if you do select to have your email address shown it may be viewable by the general public. Rustica Hardware is committed to keeping the details of children private by following the guidelines set out in the US, C.O.P.P.A Children’s Online Privacy Protection Act. Rustica Hardware does not collect private information from children under the age of 13 without written permission from the child’s parents or guardians. 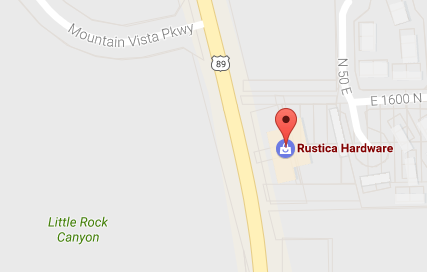 Rustica Hardware may use small bits of data stored on your computer called ‘cookies’. Rustica Hardware reserves the right to; change or remove (temporarily or permanently) the Website or any part of it without notice and you confirm that Rustica Hardware shall not be liable to you for any such change or removal. Rustica Hardware reserves the right to change, remove, or discontinue any product, service, or promotion (including but not limited to any previsions, parts thereof, licensing, pricing) as advertised on this website at any time without notice and you confirm that Rustica Hardware shall not be liable for any such change or removal. Rustica Hardware reserves the right to change or discontinue any promotional discount vouchers or coupon codes at any time with notice and you confirm that Rustica Hardware shall not be liable for any such change or removal. Changes in this agreement can be made at any time, and your continued use of the Website following any changes shall be deemed to be your acceptance of such change. The Intellectual Property Rights in this website and the materials on or accessible via it belong to ‘Rustica Hardware’ or its licensors. This website and the materials on or accessible via it and the Intellectual Property Rights therein may not be copied, distributed, published, licensed, used or reproduced in any way (save to the extent strictly necessary for, and for the purposes of, accessing and using this website). ’Rustica Hardware’ and the Rustica Hardware Logo are trademarks which belong to ‘Rustica Hardware’ and they may not be used, copied or reproduced in any way without written consent from ‘Rustica Hardware.’ For these purposes “Intellectual Property Rights” includes the following (wherever and whenever arising and for the full term of each of them): any patent, trademark, trade name, service mark, service name, design, design right, copyright, database right, moral rights, know-how, trade secret and other confidential information, rights in the nature of any of these items in any country, rights in the nature of unfair competition rights and rights to sue for passing off or other similar intellectual or commercial right (in each case whether or not registered or registrable) and registrations of and applications to register any of them. The Website is provided on an “AS IS” and “AS AVAILABLE” basis without any representation or endorsement made and without warranty of any kind whether express or implied, including but not limited to the implied warranties of satisfactory quality, fitness for a particular purpose, non-infringement, compatibility, security and accuracy. To the extent permitted by law, Rustica Hardware will not be liable for any indirect or consequential loss or damage whatever (including without limitation loss of business, opportunity, data, profits) arising out of or in connection with the use of the Website. Rustica Hardware makes no warranty that the functionality of the Website will be uninterrupted or error free, that defects will be corrected or that the Website or the server that makes it available are free of viruses or anything else which may be harmful or destructive. Nothing in these Terms and Conditions shall be construed so as to exclude or limit the liability of Rustica Hardware for death or personal injury as a result of the negligence of Rustica Hardware, its products or that of its employees or agents. You agree to indemnify and hold Rustica Hardware and its employees and agents harmless from and against all liabilities, legal fees, damages, losses, costs and other expenses in relation to any claims or actions brought against Rustica Hardware arising out of any breach by you of these Terms and Conditions or other liabilities arising out of your use of this Website. These terms and conditions together with any documents expressly referred to in them, contain the entire Agreement between us relating to the subject matter covered and supersede any previous Agreements, arrangements, undertakings or proposals, written or oral: between us in relation to such matters. No oral explanation or oral information given by any party shall alter the interpretation of these terms and conditions. In agreeing to these terms and conditions, you have not relied on any representation other than those expressly stated in these terms and conditions and you agree that you shall have no remedy in respect of any misrepresentation which has not been made expressly in this Agreement. Rustica Hardware reserves the right to add, delete, or modify any provision this Agreement at any time without notice.